Nellie Deutsch, an incredibly strong promoter of open education, has been gathering a few very interesting educational thinkers. One of these great educational minds, viewing the world from an anthropologist point of view is Michael Mike Wesch. These conversations offer any participant who logs into the open virtual session, a chance to pose questions to the speaker, exchange ideas or simply listen to what they have to say. Why I found this video interesting? Most of all for the reasons Mike lists on what makes a good teacher, or a good person for that. He focuses on really getting to know your learners, respect them and recognize the gifts, expertise of the people around you, so engaging with those who are willing to engage with you. I like that idea, it is very human. For those not familiar with Michael/Mike, I gladly add the information Nellie provided: Michael has been called "the explainer" by Wired magazine and he is a cultural anthropologist exploring the effects of new media on society and culture. 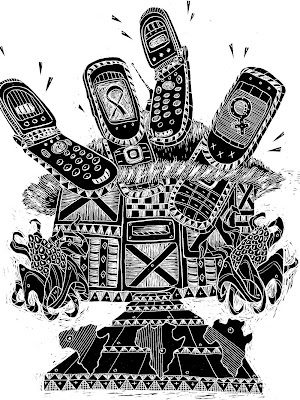 After two years of studying the implications of writing on a remote indigenous culture in the rain forest of Papua New Guinea, he has turned his attention to the effects of social media and digital technology on global society. He has made some seminal contributions in the field of digital ethnography, and burst in to the realm of public consciousness with his 2007 video -"The Machine is US/ing US". Since then, his videos on culture, technology, education, and information have been viewed over 20 million times, translated in over 15 languages, and are frequently featured at international film festivals and major academic conferences worldwide. Wesch has won several major awards and accolades for his work, including a Wired Magazine Rave Award, the John Culkin Award for Outstanding Praxis in Media Ecology, and he was recently named an Emerging Explorer by National Geographic. He is considered an active developer of innovative teaching skills, for which he has won several teaching awards, including the 2008 CASE/Carnegie U.S. Professor of the Year for Doctoral and Research Universities. Enough formality, here is the conversation which starts with his famous video 5 minutes in the YouTube video. 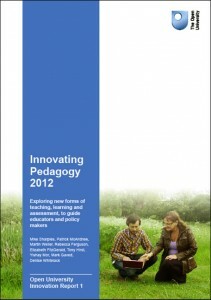 The Open University of the UK has just published a free report (38 pages, open layout) on the emerging innovative online pedagogies of today. The report gives a great, brief overview of what is currently happening and especially the pedagogical viewpoint adds some insights. The report is linked to a blog so everyone can add comments per topic. We then pared these down to ten that have the potential to provoke major shifts in educational practice, particularly in postschool education. We have not deliberately excluded school education, but that is not our area of expertise. The dialogue that appeared was interesting as it enabled all of us present to bring together similar priorities, add personal mLearning experiences and building options for people wanting to start, roll-out mobile learning. The slides here reflect the generic ideas or topics that were shared as pointers to start with mLearning or embedding mobile learning into existing (online) learning environments. Michael Sean Gallagher will be the facilitator for the ICT4D specialized week (http://mobimooc.wikispaces.com/Mobiles+and+Development) that is one of the concurrent sessions in MobiMOOC (free, open, online course on mLearning). The ICT4D topic will run from 23 - 29 September 2012. During that week everyone is invited to discuss her/his experiences on ICT4D or share future plans. That way we all can learn from our past failures and successes with setting up ICT4D projects. For those wanting to draw up a mLearning project, there will be the possibility of winning an award (contest open to all MobiMOOC’rs, more on that later). Michael will be joined by experts speakers from Cambodia and Mali, which makes the experience even more thrilling (or at least that is how I feel). Although any MobiMOOC participant is free to engage, lurk, participate… in any way they seem fit (learning can have different forms), Michael did draw up potential learning activities for those who want to. You can have a look at the preliminary actions and topics related to ICT4D on the (work in progress) ICT4Dpage which is part of MobiMOOC’s course wiki. Michael is a globetrotter who has worked and lived in 4 different continents (N-America, Europe, Asia and Africa) and all the time with heart and a warm soul. You can view more about him at his website (http://michaelseangallagher.org/ ). If you are interested in the subject, feel free to register for the free course. You can do this by becoming a member of the Google group here. Choosing the best (smart)phone or tablet for mobile learning can be quite a challenge. It also depends on what you want to do with it and how easy you can get used to technology. The amount of features you want to use will also allow you to purchase a low or high cost smartphone or mobile device. Let's say you want to explore mobile learning, these are some of your options. First of all if you are a tech savvy person you could go for a less expensive device which has all the options of the iPhone and more, for the iPhone costs a lot, yet is similar to many other mobile phones that are cheaper. The iPhone is above all an incredibly easy phone to use (very intuitive in its user interface), so for those not that comfortable with technology, the iPhone is the way to go (although it is expensive). If you do not want to pay the cost of an iPhone, you can also go for an iPod Touch, which is much cheaper and offers all the iPhone options (you can access the internet via a Wi-Fi connection), except phone possibilities (but the phone possibilities are not essential for mobile learning). The same is true for tablets (there is an increasing array of tablets out there, running on Apple (iPad) or Android (Samsung Galaxy tab) or .... Tablets have the advantage of having a bigger screen. As such they offer more visual options than the smartphones mentioned above. You can also simply use a MP3 player, as these will enable you to share audio material (e.g. language learning or gather all the songs of birds in the wood and determine which bird it is...) or an eBook reader for those more interested in reading materials. What can you opt for in a high-end phone, tablet or mobile device? When deciding on a phone, it is good to know what features are most important to you and what type of mLearning you are envisioning, e.g. if you want to use location data to tag your pictures for field trips or similar, GPS will be necessary. Depending on these features you can make a selection of phones and then compare them in one of the review sites (or a couple of review sites, sometimes those sites already have a 'best off' list: http://reviews.cnet.com/best-cell-phones/ , or a funny geeky one: http://www.testfreaks.co.uk/mobile-phones/ ). In any case it is good to look at which devices are on your local market and then look at (and compare) the specifications of your short list of mobile devices you want to choose from. Go for sites that offer both expert reviews AND peer reviews, because it is the user that is important, not the geek. Personal criteria that might influence your mobile device or tablet purchase (basically what you do is check what you feel is important to you, the more possibilities, the more your device will cost - most of the time):Camera quality: how many mega pixels does the camera have (the more mega pixels the better the quality of the pictures taken with it)? this was critical too me, as I like to record high quality movies and pictures for later recall (visual person). TV-connection option: if you want to use your mobile device to train a team, you might want to search for a mobile device that can be fitted onto a beamer or television set. That way your mobile device can be used as a media broadcast device (I like such a feature a lot, also enables me to share pictures and movies when visiting family). Memory extension: if you use a lot of big files (movies, audio, podcasts...) it is a good thing to look at phones that have a memory slot (most of the time it is for mini SDcards), this offers you the chance to have access to more files. WiFi possibility: if in doubt, I would certainly go for wifi enabled phones: wifi enables you to connect to free internet, which will save you a bundle especially when being abroad. Bluetooth: this might be interesting if you want to connect to other devices without using a USB connectivity cable. It is also handy for health check-ups, they use bluetooth for instance for wireless interaction between a blood pressure meter and the software to analyse diabetes. Phone capabilities and specifically quad band connectivity: only important if you travel internationally, because if you only have access to - say 2 - phone frequencies, you will likely not be able to access in some continents. Mail access: is there a possibility to exchange between your mailbox and the mobile? Or is it of interest to you? If yes, look for that specification. In addition to that one: synchronisation with outlook: only necessary if you work with outlook, this enables you to exchange mail and your contacts between your desktop and mobile phone. Office possibilities: this enables you to look at office documents (depends again on your need). Social media widgets: does the device offer easy to install social media widgets (e.g. facebook, flickr, twitter...). Having this function will enable you to quickly personalize your phone to your own social network. GPS: that is increasingly important for geo-located learning as well, in those cases the GPS will know where you are at and offer you nearby information (shopping malls, geek stores, museums... linked to your location). But of course also easy to find your way around unknown territory. Gyro-sensor: this is an advance characteristic, but it does add to the human-machine integrated feeling of a smartphone. Basically a gyro-sensor tells you how your movement relates to the outside world (going up, moving, running...). Such a feature can be of interest if you are looking to follow physical training courses. Look here for those interested in the applications of gyro-sensors. Touch screen or not: again this is very personal, some like touch screens, others do not (with touch screen you cannot write a quick sms blindly or from the pocket of your pants for instance, but on the other hand it offers immediate contact with what you see). Touch screens are becoming more common though. Screen reflection: if you want to use your phone outside regularly, it is a good thing to check readability of the screen when you are outside, standing in the sun. Battery life (thanks to Nick Short! ): this is pretty important if working away from a power source for example on a field trip. Now with all these above mentioned features, it is clear that they are only interesting if you really want to explore them, otherwise it is better to buy a simple 'intermediate' smartphone which offers access to internet, phone capabilities and basic note taking (and the price is much lower than high-end phones). With these 'simple' phones you can already exchange pictures, movies, and discuss what these audiovisual materials you gathered with peers. From a learning point of view, even the simplest phone can add to a learning process, because it is the content provider who must be creative. What mobile operating system to choose? Let's say you go for the more high-end ones, at that moment the operating system of the phone becomes very important (apple mobile operating system, Android OS, windows mobile operating system, RIM/Blackberry...). Of all the Operating systems, the blackberry is the most restricted one as it needs to be connected to a central Blackberry server (rectification thanks to mLearning-world.com (who work a lot with blackberry comment - see below: the Blackberry's do have third party software that allows synchronisation with e-mail without having to go through a BB server). There is also the operating system to consider when buying a new phone. Btw: always buy a phone that is not the first generation (these have many childhood diseases), always go for a second or third generation of a phone (e.g. do not buy the first android phone, but buy the second version they put out). If you plan some mLearning, you might also want to take a look at which applications might enhance learning for your target learner audience. Today I found an interesting read (56 pages): a book on mobile learning covering some theoretical and practical considerations, but most interestingly: 7 mLearning scenario’s for adult education. 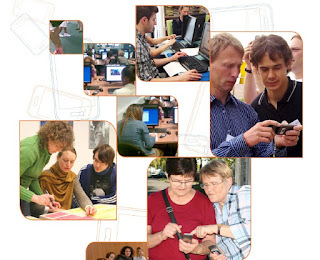 Titles of some of the mLearning examples: Developing adults’ self-promotion skills for job search through digital storytelling and the use of mobile phones, or: Connecting older people in rural areas | Mobile learning scenario from a cross-generational house in Germany, or: Advertising and media literacy | Use of mobile devices. 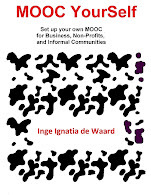 MobiMOOC is a free, open, online course on mobile learning (mLearning) which will be running between 8 and 30 September 2012. 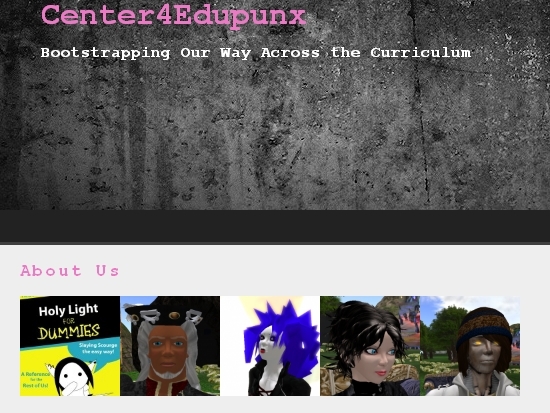 The course wiki (http://mobimooc.wikispaces.com ) is gradually taking shape. Covered mLearning topics: augmented learning, mobile gaming, corporate mLearning, train-the-trainer, building a mLearning curriculum, global mLearning issues, mobile health (mHealth), ICT for development, mlearning strategies/pedagogies and we will start with a look at the basics of mLearning including how to set up a mobile learning project. Interested? Join the free course by becoming a member of the MobiMOOC google group(registration point of the course). Mobile learning theory/pedagogy: Geoff (Stead) is a mobile massive brain from Cambridge, UK, with an enormous amount of zest and creativity. 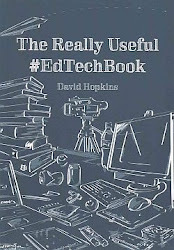 Who better to provide an overview of mobile learning theories and pedagogies then his creative mind? Corporate learning: Amit (Garg) from India has inspired companies to go mobile based on strong business plans, goal oriented design and intuitive learning. He shares what he knows with all that want to hear. Amit is a true enlightened entrepreneur who embraces the ancient old wisdom that sharing will lift all of us to a higher plain within our human capacities. Train-the-trainer: Jacqueline (Batchelor) from South Africa uses all of her blond haired charm to get every teacher trained simply by using mobile devices and … a lot of educational insight. She is a silent, calm, yet a very thorough expert that explores new frontiers of teacher engagement and paves the way for all of us. 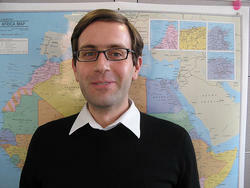 Mobile activism/learning: Sean (Abajian) from sunny California is a mobile activist believer. He lifts crowds to march for better adult education, he is an activist pur-sang and with a heart of gold and understands the benefits of educational technologies. He knows that long-term activism coincides with quick learning. Mobile gaming: David (Parsons) from Australia is an old school new school mobile programmer, now completely emerged in mobile gaming. He will guide us in our first contemplations to create serous mobile games. Augmented learning: Víctor Alvarez pours his Spanish passion into innovative augmented learning applications. He sees beyond our everyday world and adds extra layers of interest that enhances the moments, locations, and understandings we currently live in. Setting up a Mobile Learning Curriculum Framework: Adele (Botha): straight from South Africa, she knows how to own any room she enters and grab the attention with her mobile knowledge and persona. She will push us forward with any mobile learning curriculum we want to create. ICT for development: Michael (Sean Gallagher - UK/Korea) combines a literary pen with a mission to provide a mobile solution to anyone living in a challenged environment no matter where you are in the world. He will share solutions that will get you up and ready to tackle low resource settings with a great set of tools. 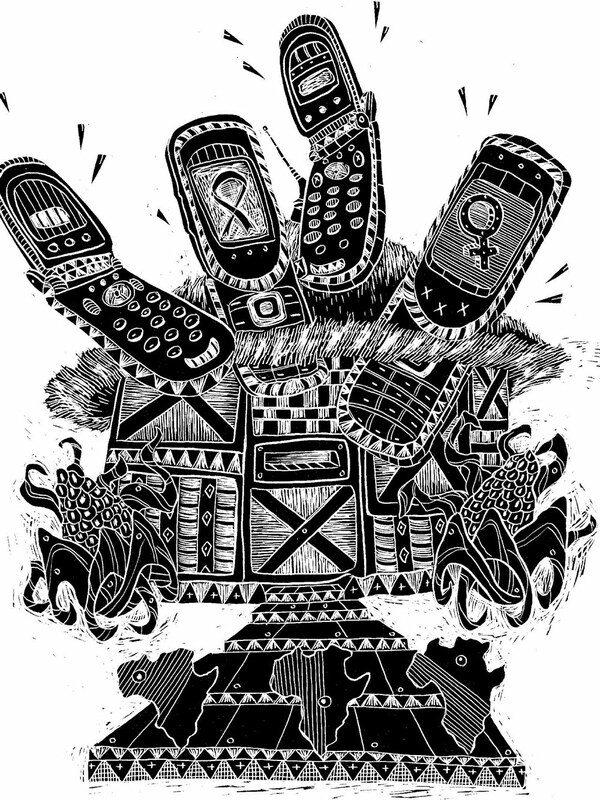 mHealth: Malcolm (Lewis - Australia) has a diverse background across a range of social movements and social services. In the mid-1980s, he was involved in the early days of the internet working to bring the wonders of email to the NGO sector in Australia. For the past 14 years, he has been working in the field of health promotion and technology. Global mLearning issues: John (Traxler): He has got more air-miles than George Clooney in Up in the Air, John gives new meaning to the word mobile and researches it in all its meanings. Amateur ornithologist, mountain climber, and professor in mobile learning! 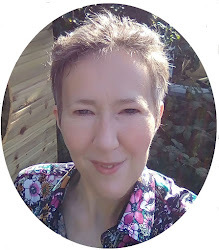 And me from Belgium, well….. me focusing on an introduction to mLearning and planning a project! Israeli Microsoft developers just came up with On(X) a WONDERFUL way to get some automation to your personal - my personal - android driven phone (well, not all Android, so check if it matches your phone before getting excited). I got the news from Yishai Mor, a great educational researcher (Thanks Yishai). Basically, its most promoted feature is the fact that On(X) keeps on eye on your mobility. For instance if you walk out of the office (location based gps needs to be on) after a days work, your phone messages your partner automatically with whatever message you want. Another nice application is that the phone automatically starts playing your favorite runner playlist once you start .... running (location/paced based). Short side note: running to get through a traffic light might start audio as well, but ... it is fun anyway. But do you see the potential for future education?!!! Let's start from a simple generic example: if you tag your fridge items (the smart refrigerator, you have similar fridges in the more expensive hotels), connected to the stock of those items and you walk passed a store... your cellphone tells you what you can get and for what price. Well okay, but now: you are working an some research, and you go on holiday, as you pass by a building that gives shelter (oh well) to researcher with similar interests that you are connected to with your twitter account. Your phone gives you a notification, you can tweet them 'are you in and available' and you simply have an informal meet-up exchanging ideas.... Or am I the only one thinking this is cool as a holiday relaxation? For all of you interested in game-based learning, here is a 5 week MOOC (Massive Open Online Course) that will put you up to speed. It starts on the 9 of July so, pretty close to starting date. And they are still working hard to get the course locations finished, but in the meanwhile you can register for the free course here. Got the information via the wonderful MOOC-supporter John Mak. The Games-based Learning MOOC begins on July 9, 2012 and will run for 5 weeks with an optional proposal/project week in mid-September. A couple of days ago someone asked me ‘how can I create quizzes and conduct them through mobile phones? ‘ . The question was sent to me through my ask box! I never had a question received through that ask-box so I am excited! So I gladly dedicate a blogpost to the answer. If you have any questions, feel free to use the same ask-me box on the right side of my blog, if possible I pour the answer into a blogpost. There are a couple of ways to set up or conduct quizzes that are delivered to mobile phones. There are also a lot of different mobile phones out there, so it is no surprise that you need to get a couple of facts cleared out before you can even start to build your quizzes and share them with learners. How are these phones connected to the internet? Through a Wi-Fi (this does not cost anything for the user)? Through a mobile internet data plan (that can be costly and would mean you need to keep the mobile content small in size (small download size, less cost). For mobile authoring tools, look at the end of this blogpost, for a free and easy mobile quiz tutorial just read the following section. If you have not got a Google account, register and sign in. As learners are taking the Google form based quiz, their quiz results will automatically fill a Google spreadsheet (spreadsheets are created starting from Google docs which is now Google drive ). Now the thing we want to do is automatically grade their results. This is done by adding Flubaroo (http://www.flubaroo.com/ a script written by Dave Abouav ). First go to the spreadsheet that has the results, click on the tab ‘tools’, select ‘script gallery’, search for Flubaroo and click on the install button. Now look at the Flubaroo instructional video that Dave Abouav provides to see how you need to finetune Flubaroo to do the grading for you (select which questions needed to be used for grading, which need to be skipped (e.g. general information questions), and where Flubaroo can find the correct answers for each question). Now take into account that if you added visuals, you will have used multiple forms, as such you will need to install Flubaroo for multiple spreadsheets. If you did not include visuals, you only need to use one form, and as such you will only have one spreadsheet to install Flubaroo on. The grades are put into a different spreadsheet by Flubaroo (these spreadsheets are also mobile accessible). A video tutorial of the above mentioned steps can be seen in the video here, which gives an overview of how to build a quiz, up to adding the Flubaroo script to your spreadsheet for automated grading. Phase 3: you also want visuals in your mobile quizIf you want to add visuals to your forms, make a form for each question. Why? It will allow you to add visuals before or after the actual question you put in your blogpost. After that you go to your blogpost and add any visuals (movies/pictures) you want to add. In doing this do keep in mind the type of phones that your target audience has and which type of connectivity, you do not want heavy size movies to be downloaded on non-multimedia phones or phones that only use paid data traffic (the bigger the file, the more they would have to pay). A video tutorial of the above can be found here. Now simply access the blog with your mobile device and - if the blog is mobile enabled - you will have mobile quizzes for free, AND which will be graded automatically. Cool! If your target audience uses smartphones, search for mobile quizzes with more advanced options (html5 is quickly becoming the standard so look for those companies that offer html5 authoring tools, e.g. mLearning studio from RapidIntake (US based) or the wonderful GoMoLearning (UK based). Both these companies offer mobile solutions that are both delivering stand-alone mobile apps (native apps which you can open and learn from whether you are connected to 3G/wifi/internet or not, and that offer online options as well). Their mobile courses/apps… are also multiple platform accessible, so you do not need to build one app for Android, another for iPhone and so on.